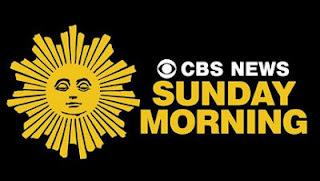 Rob writes: This past Sunday, CBS Sunday Morning ran an amazing piece on birding. I was very lucky to have been around at Magee Marsh while a lot of this segment was being filmed and got to see first hand just how interested Serena and her whole crew were with birding. I was there for most of the footage that was shot on the boardwalk and I am so impressed with how they put everything together. All of the interviews were exceptional as well. I have included the video below and I hope everyone enjoys it as much as I did!